Air Cleaner Outlet Duct Clamp. Loosen clamp and remove air cleaner outlet duct from air cleaner assembly. 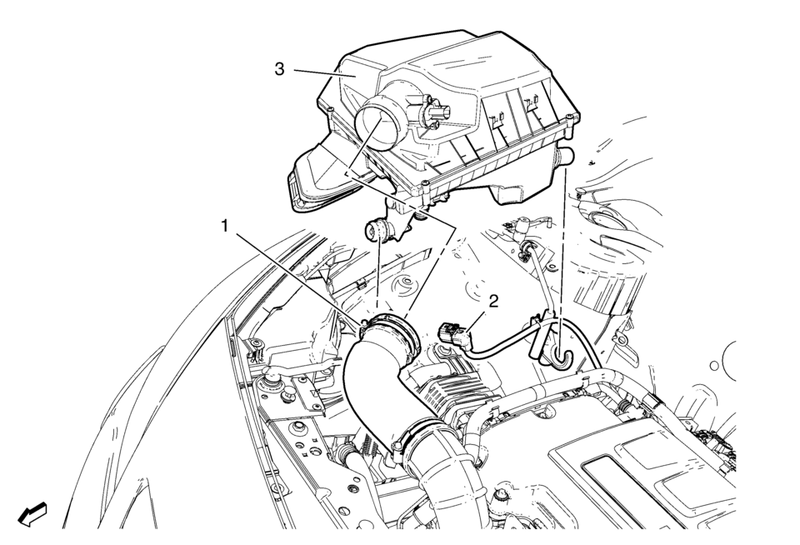 Disconnect mass air flow sensor wiring harness plug from mass air flow sensor and unclip from retainer clip.